Lawyers’ Rights Watch Canada writes in response to the arbitrary arrests and detentions of nine lawyers: İrfan Arasan, Ayşe Acınıklı, Hüseyin Boğatekin, Şefik Çelik, Adem Çalışcı, Ayşe Gosterislioglu, Tamer Doğan, Mustafa Ruzgar and Ramazan Demir. Category III – When the total or partial non-observation of international norms relating to the right to a fair trial as specified by the UDHR and ICCPR are of such gravity as to render the deprivation of liberty arbitrary. The UN Human Rights Committee has determined that ‘arbitrariness’ “is not to be equated with ‘against the law’, but must be interpreted more broadly to include elements of inappropriateness, injustice, lack of predictability and due process of law…” States may resort to remand in custody only when detention is necessary and the only means to prevent established risks of flight, interfere with evidence or reoccurrence. To remedy these contraventions Turkey must restore the liberty of each of the detained lawyers, provide compensation and remedy the resulting prejudice to the lawyers’ clients. Ensure the right and duty of lawyers to perform their professional functions without intimidation, harassment or improper interference. On 16 March 2016 nine lawyers were arrested and detained: İrfan Arasan, Ayşe Acınıklı, Hüseyin Boğatekin, Şefik Çelik, Adem Çalışcı, Mustafa Ruzgar, Tamer Doğan, Ayşe Gosterislioglu and Ramazan Demir. All the arrested lawyers represent one or more of the 46 lawyers arrested in 2011 on charges of “working for, or belonging to, a terrorist organization”. The arrests resulted in clients of the detained lawyers being deprived of legal representation for the 17 March court proceedings. On 18 March 2016 Tamer Doğan and Mustafa Ruzgar were released without conditions by the 1st Criminal Court of Peace. On 19 March at about 2:00 pm, İrfan Arasan, Ayşe Acınıklı, Hüseyin Boğatekin, Şefik Çelik, Adem Çalışcı, Ayşe Gosterislioglu and Ramazan Demir were released on condition that they not leave Turkey. On 22 March 2016 an arrest warrant was issued by the 2nd Criminal Peace Court for Hüseyin Boğatekin, Ramazan Demir, Ayşe Acınıklı and Ayşe Gosterislioglu. Hüseyin Boğatekin and Ayşe Gosterislioglu have been arrested and detained on that warrant: Ramazan Demir and Ayşe Acınıklı are still at liberty. On 18 March the nine detained lawyers were brought before the 1st Criminal Court of Peace. Irfan Arasan and Mustafa Ruzgar were released without conditions after the prosecutor advised there was insufficient evidence to detain them and the Judge refused the prosecutor’s request to impose a condition that they not leave Turkey. The pre-trial release hearing of the remaining seven lawyers began at approximately 1:00 am on 19 March 2016. 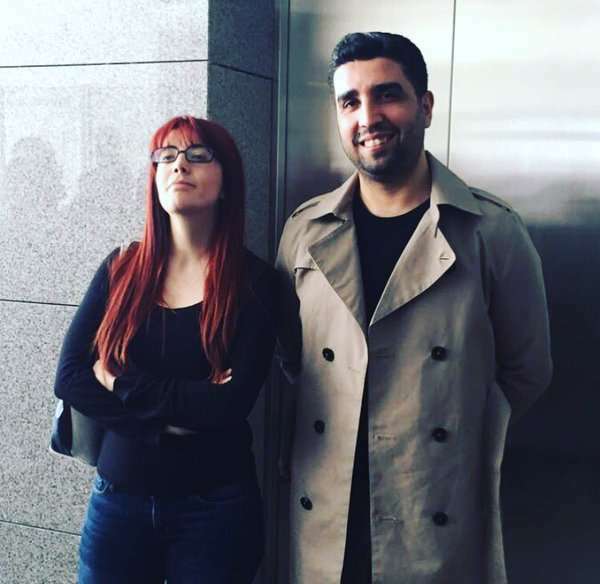 After a 13-hour hearing of the submissions of defense, the 1st Criminal Peace Court ordered the pre-trial release of Tamer Doğan, Ayşe Acınıklı, Hüseyin Boğatekin, Şefik Çelik, Adem Çalışcı, Ayşe Gosterislioglu and Ramazan Demir subject conditions that they not leave Turkey. The judge concluded that evidence collected (and not acted on) between 2011-2014, was not sufficiently reliable to justify pre-trial detention on suspicion of belonging to an illegal organization and that there was no risk of flight. The Court further concluded that although there was some evidence supporting allegations of “propagandizing for a terrorist organization”, pre-trial detention was not appropriate. On 21 March 2016 the prosecutor appealed the decision to the 1st Criminal Peace Court which appeal was rejected. On the same day, without notice to the defendants or their legal counsel, the prosecutor then appealed for reversal of the pre-trial release orders to the 2nd Criminal Court of Peace. In the absence of, and without submissions from the defendants, the 2nd Criminal Court of Peace summarily reversed the decision to release the lawyers. In a decision described as ‘cut and paste’, the judge indicated that the evidence of belonging to an illegal organization was sufficient to justify pre-trial detention and that risks of flight and interference with evidence had been established with respect to Hüseyin Boğatekin Ramazan Demir, Ayşe Acınıklı and Ayşe Gosterislioglu and issued arrest warrants. On 22 March arrests warrants were issued for those lawyers. Detention of any of the lawyers on the authority of the 22 March 2016 decision of the 2nd Criminal Peace Court is arbitrary and contrary to law. The 21 March proceedings violated rights to notice, fair trial, presumption of innocence, freedom from arbitrary detention and the right to be heard by an impartial, independent and competent tribunal. These rights are recognized by the Universal Declaration of Human Rights and guaranteed by the International Covenant on Civil and Political Rights and the European Convention on Human Rights to which Turkey is a state party. The arbitrary arrest and detention of the nine lawyers is particularly troubling given Turkey’s overarching duty to ensure the right to legal representation as an integral part of fair trial rights under both the ICCPR and ECHR. It is widely accepted that states must adopt and maintain effective measures to ensure the safety and independence of lawyers and ensure their freedom to engage in advocacy without reprisals or interference from any sector, including state agents. Specific state duties necessary to ensuring the right to legal representation are identified by the UN Basic Principles on the Role of Lawyers (Basic Principles). Compliance with the Basic Principles is a fundamental pre-condition to fulfillment of state duties to ensure effective access both to enforcement of rights and the legal representation required for the effective enforcement of rights and remediation of violations. The arrests and detention of the nine lawyers contravene state duties under the Basic Principles to ensure rights to: legal counsel, conduct professional activities without interference or reprisal, not to be identified with clients and civil and penal immunity for statements made in the course of providing legal representation. Clearly, the arrest of these nine lawyers is in direct contravention of these Basic Principles. By arresting these nine lawyers, Turkey has indicated to the international community that Turkey has no commitment to maintaining a properly functioning legal and judicial system. Such an attitude is contrary to Turkey’s self-interest, particularly in light of Turkey’s pending application for membership in the European Union. LRWC respectfully calls on the Government of Turkey to adhere to the above noted international law obligations and to ensure that these lawyers are not further deprived of their liberty or ability to practice law. Fact Sheet No. 26, The Working Group on Arbitrary Detention. Adopted by the Ninth United Nations Congress on the Prevention of Crime and the Treatment of Offenders, Havana, Cuba, 27 August to 7 September 1990.